Jessica’s main focus is learning how to position yourself as an expert in your field so you can get booked on podcasts and interview with podcasters that will increase your brand exposure and get you the traffic you need. Here are her top suggestions for positioning yourself as an expert in the field. Create a One Sheet: This helps establish yourself as a leader in the industry, lets podcasters know you’re available to interview, and provides people with the information they need to know in order to interview you on their podcast. Share Your Story: Your story is what sets you apart. Learn how to share your story in an engaging way and interview on smaller podcasts to build your confidence before jumping on the big ones. Represent Yourself: Consider how you represent yourself. If you are trying to pitch yourself to podcasts it can come off as unprofessional. Hire a PR agency to book you instead and elevate your image. Build Your Personal Brand: Remember that podcasters want to talk to people, not companies. Use your podcast interview to build your personal brand and connect with your audience on a personal level. Keep it real. Be Delightful: When you do finally book an awesome interview, make sure you are a delightful guest. Say thank you, and let your interviewer know you’re happy and excited to be on their podcast. Through experience, Jessica has learned that these are the best ways for individuals to develop personal brands and get the exposure they need. 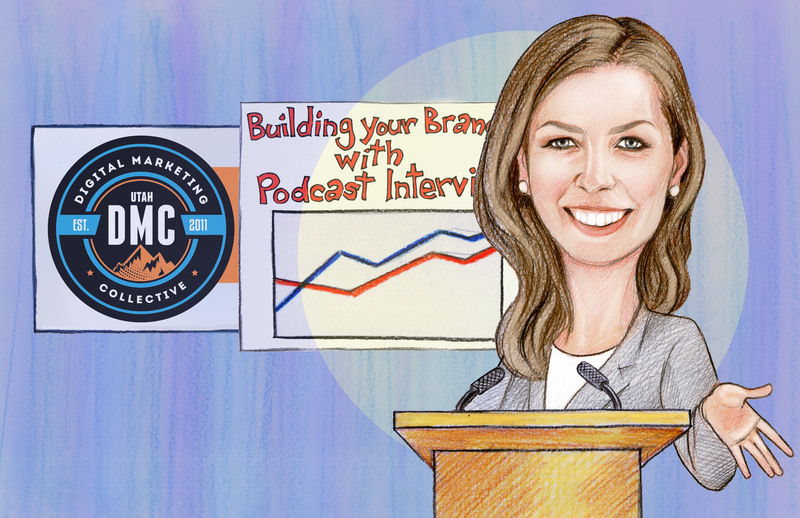 Her company has used these principles and more to help clients build companies, personal brands, and even promote book launches by landing fantastic interview opportunities on well-known podcasts. 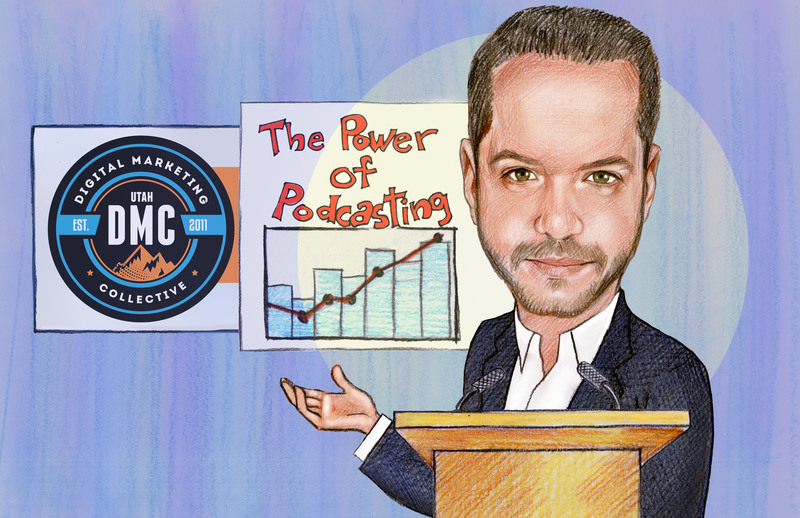 Justin’s patient dedication to podcasting and passion for inspiring people have led him to be recognized by INC.com as a top 8 podcaster to watch. Justin’s podcast, The Growth Now Movement, influences people in over 100 different countries every week. Justin’s success prompted him to help others build successful podcasts of their own through beginpodcastingnow.com. At a young age, Justin learned what it meant to overcome hardships and find your why. When he originally started his podcast with his co-host, it was meant to be an entrepreneurial podcast. When Justin’s mother lost her battle with opioids and passed away, he turned his podcast attention towards motivational speaking. However, he struggled to get listeners until he aligned his messaging and branding and separated from his co-host. Loyal Listeners: Podcast listeners follow podcasts they like and listen on a regular basis. They also trust recommendations their podcasters advertise for. Educated Audience: Most podcast listeners have college degrees. Growing Audience: Podcasting audiences have nearly doubled in the past four years and continue to grow, making podcasting a great platform for building your personal brand. Consistency: Post on a regular schedule and keep your format and messaging consistent. If you make changes, do it at milestones. Utilize Your Guest’s Audience: When you interview people on your podcast, encourage them to share it by pointing out specifics of what your audience (or you) liked about their podcast. Get Featured on Other Podcasts: Get in front of other podcast listeners. Share audiences. Write, Write, Write: Podcasters are readers, so write for your podcasters. Your Network is Your Net Worth: Learn from and find the right people and don’t try to be what you’re not. Justin’s success and the success of his clients is proof that his methods and advice are worth heeding. Creating a successful podcast is well worth the efforts of companies and individuals that want to build their brands through the power of podcasting. Thanks to Lucid for hosting this amazing event, as well as all the event sponsors who made it possible. If you’re interested in learning more about podcasting and marketing events check out the Utah DMC homepage for upcoming events and updates.